(Al Hartmann | The Salt Lake Tribune) Former presidential candidate Mitt Romney makes a speech about the state of the 2016 presidential race and Donald Trump at the Hinckley Insitute of Politics at the University of Utah Thursday March 3. Mitt Romney should run for Senate. At least that is what many Utahns are hoping for. A recent poll shows that 75 percent of Utah voters do not want to see Sen. Orrin Hatch run for Senate again. Hatch was elected 41 years ago, is 83 and would be 90 at the end of another term. He assured voters during his last campaign that this would be his last term. Rep. Mia Love would tie Sen. Hatch if an election was held today. She has not yet announced any intention to run for the seat, with or without Hatch. Even Democrat Jenny Wilson would beat Hatch if the race were held today, which says a lot in one of the most conservative states in the country. But Romney would beat Wilson. Romney would beat Love. And Romney would beat Hatch. Hatch hasn’t yet announced whether he will run again, but Romney is his heir apparent. There were unconfirmed rumors last month that Romney was considering a run. 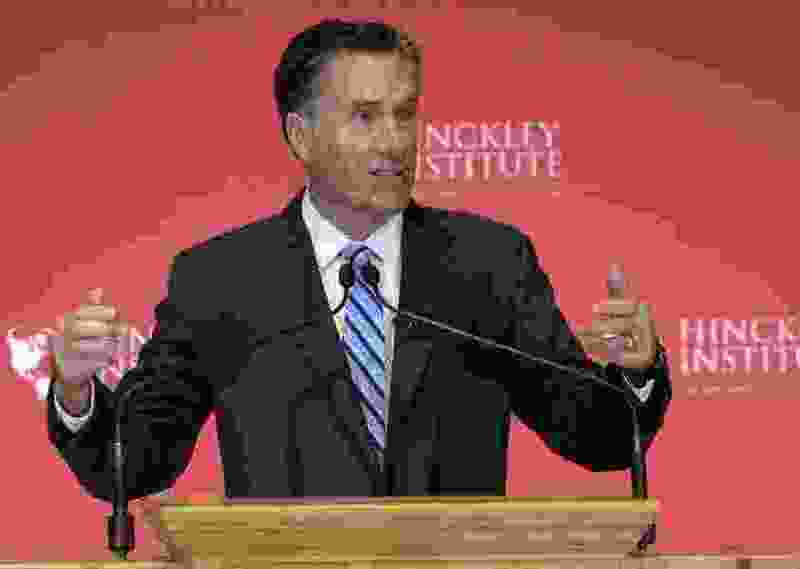 Hatch isn’t the only public official who has opined on what Romney should be doing with his life. Nancy Pelosi wishes Romney were president today. Political observer Bernie Quigley hopes to see Romney run for Senate in 2018, and then president in 2020. Daniel Gross, a political writer for Slate, wishes Romney would go to Puerto Rico and help them recover from the financial and physical ruin caused by Hurricane Maria. And then of course there was Romney’s better-late-than-never March 2016 speech that eviscerated Trump as a phony and fraud. There’s no question Romney is a seasoned and generous politician. He accomplished health care reform as governor of Massachusetts before such reform was popular. He led Utah out of scandal and onto the world stage with a successful 2002 Winter Olympics. While he lost his race for president against President Obama, it only took a few months, and an honest and heartwarming documentary, for some opponents to wonder whether they had been too adamant. Romney, too, learned something from that experience. He later said that damaging leaked recording of him apparently attacking the 47 percent of Americans who would never vote for him because they refused to be self-sufficient was misinterpreted. But he also said it was his fault that people got the wrong impression. His notoriety as a well-mannered foe would help him work across the aisle in the contentious Senate. And his reputation for statesmanship would launch him into leadership roles most freshmen congressmen only dream of. In fact, if he decides to run, he would be the leading voice of the Republican Party, and Utah would be his home. And at 70 years old, he won’t be there for 41 years. Utah would be lucky if Romney decides to run.